Peggy Guglielmino is an internationally acclaimed Hypnotherapist, NLP Master Practitioner and trainer , ICF certified Master Coach, AAMET accredited certified advanced EFT practitioner and a certified hypnobirthing practitioner. She studied at the Phil Parker training institute and at the EFT centre. 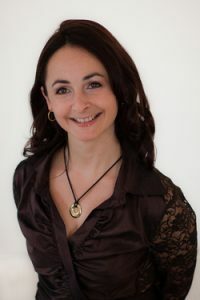 She is a member of the International Coaching Federation, the British Institute of Hypnotherapy and NLP, the Association for NLP and the AAMET International. Peggy runs a full time practice in Highgate Holistic Clinic where she is also the Managing Director. She has a wide experience in working with a lot of different physical and psychological issues, and her services are highly in demand due to her high success rate.